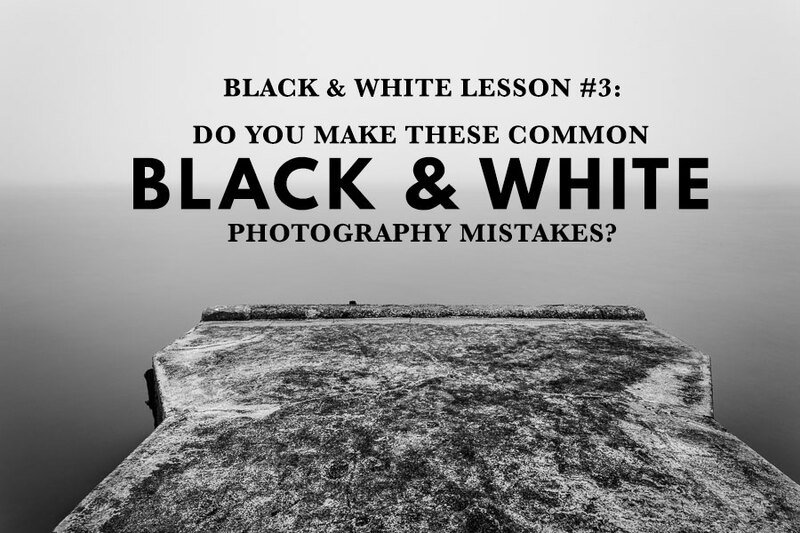 In this lesson we’re going to take a light-hearted look at the most common black and white photography mistakes that people make. Of course, I’m sure you’re not making any of them, but it never hurts to check! 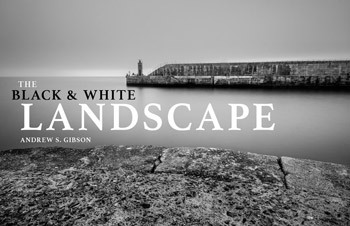 In lesson two we looked at how you can learn to look through your color photos to pick the ones that work best in black and white. For some reason some photographers seem to think that converting to black and white is what you do with poor quality photos, as if that somehow makes them okay. Let’s be clear about this – black and white is not a method for rescuing poorly crafted color photos. If your photo is bad in color, it will be bad in black and white too (although sometimes you may come across a photo that works better in black and white for compositional reasons). 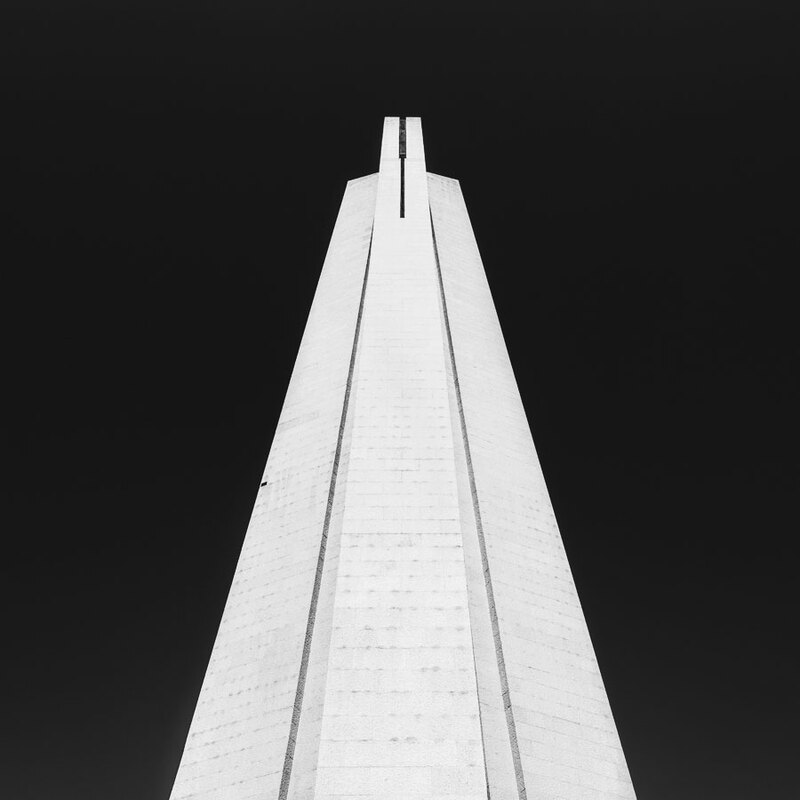 Black and white is a strong, bold, graphic medium that relies on excellent composition and lighting to work. You get the best results when you shoot for black and white intentionally, as this lets you build your composition around the three principles we explored in lesson two – simplicity, texture and tonal contrast. 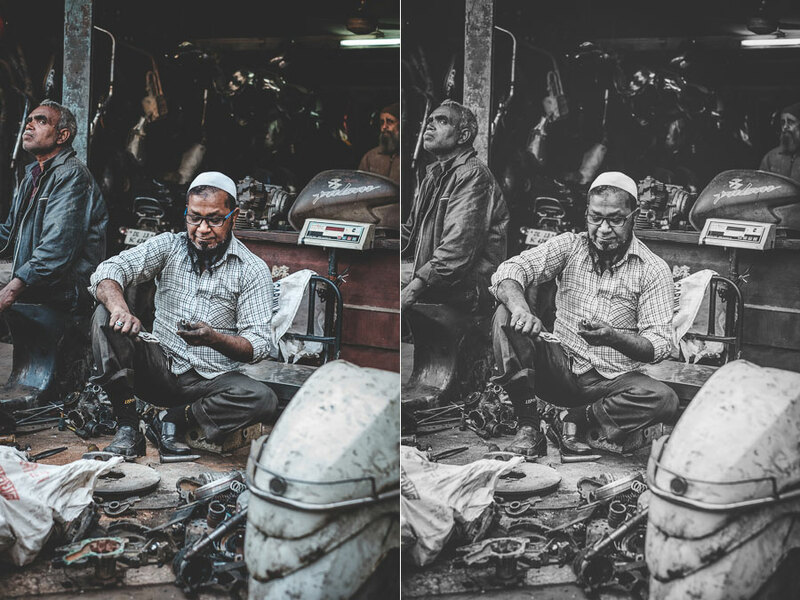 If your color photo doesn’t have these elements then it probably won’t work in black and white. You’ll just get frustrated if you try and convert it because you’ll get a poor result. Her are two examples. In the first I’d decided in advance that I wanted to photograph this monument in black and white. I’d also decided that I wanted graphic compositions that juxtaposed its light toned stonework against a deep blue sky. This enabled me to think in black and white, visualizing the final result while I worked. In the second I used black and white because of the textures in the stones on the beach, and in the cliff face and concrete block behind the dancer. The juxtaposition of several interesting textured surfaces, and the contrast with the dancer’s skin, make the photo. One of the advantages of black and white is that you can often shoot in lighting conditions not suitable for color photography. 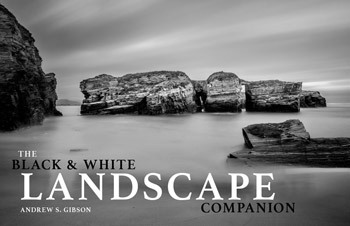 For example, on a cloudy day you can create beautiful black and white seascapes with a tripod and neutral density filters (this is called long exposure photography, there’s an example below). Yet, in color, you would really need to shoot close to dawn or sunset to make the most of the scene. But what some people do is use black and white to shoot in lighting conditions that are simply unsuitable for the subject. Using black and white isn’t the solution. The important skill is in matching the light to the subject. This takes a while to learn but it’s very important. Don’t be lazy just because it’s black and white. Shooting in JPEG format is probably the worse thing you could do for your black and white photography. To understand why, you need to appreciate the difference between Raw files and JPEGs. • Raw files contain all the information captured by your camera’s sensor. • JPEGs only contains a fraction of that information. • A Raw file is not a finished picture file. It has to be processed (using an app that understands the format like Lightroom or Adobe Camera Raw) and converted to a JPEG or TIFF file before other apps can use it. 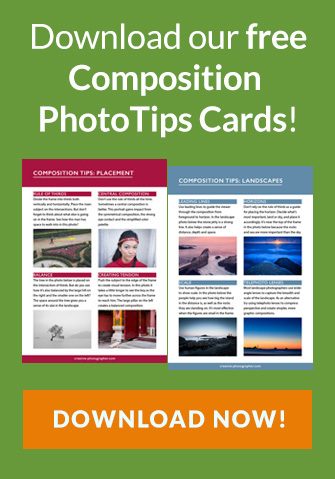 • A JPEG is a universally recognized photo file. Your camera takes the information captured by the sensor, processes it (much like you would do with a Raw file in Lightroom, but according to the camera’s built-in parameters), compresses it, discards the unused information, and saves it in the JPEG format. Using the Raw format gives you the following advantages. Control: You process the file yourself, rather than letting the camera do it. You can process it to your taste from a stylistic point of view. Using Raw lets you interpret the file as many ways as you want. Using JPEG means the file gets interpreted one way only – the way the camera does it. More data: The Raw file contains much more information than a JPEG, especially in the highlights and shadows, that you can draw out when you process the file. The extra information helps prevent banding in areas of smooth continuous tone like clear skies. Adjust sharpness: JPEG files created by your camera are sharpened. The sharpening limits the amount you can change tonal values before introducing halos and artefacts. Yes, you can turn JPEG sharpening off in-camera – but how many people bother? RAW format keeps the color info: Raw files contain all the color information captured by the sensor, so you can create a color version of the photo in Lightroom as well. Using Raw let me create both a color and black and white version of the photo below in Lightroom, without any loss of image quality. Improvements: The software gets better every year. 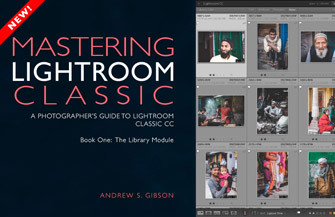 The version of Lightroom you use in five or 10 years time will be much better than the current one. With Raw, you can take advantage of these new improved tools and reprocess your images in the future. So please, don’t use the JPEG format any more for black and white photography. Before digital cameras and Lightroom came along, many pro photographers used a professional printer to print their images. Making top quality black and white prints in the darkroom is hard, and it was logical to outsource the job to an expert. This was a beneficial arrangement that let photographers concentrate full-time on photography and left printing to the specialists. Perhaps the best known pro printer in the UK is Robin Bell, who has worked with big names such as David Bailey, Terry O’Neil, and Eve Arnold. Nowadays it is much easier to create beautiful black and white images in programs like Lightroom, Photoshop, or Silver Efex Pro 2 than it is to master the chemical darkroom process. But, sadly, many photographers don’t get to grips with the basics. The result is that their black and white photos are not nearly as good as they could be. 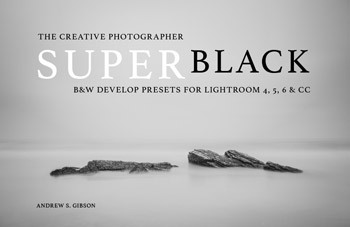 My suggestion is that you start by learning how to use Lightroom properly to convert color photos to black and white. It makes sense to do as much work as you can in Lightroom because you can only send photos to plugins by converting them to a format like 16 bit TIFF. Once you’ve mastered Lightroom you can download the trial version of a black and white plugin like Silver Efex Pro 2 or Topaz B&W Effects. 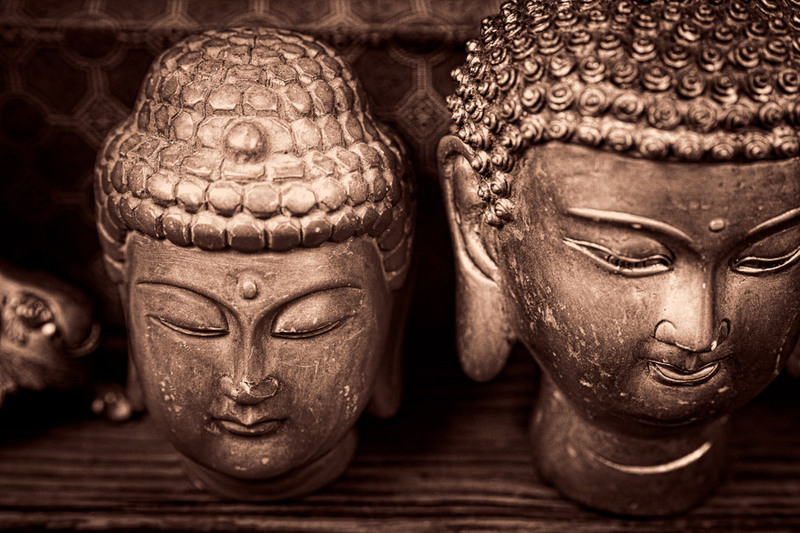 The main benefit of these plugins is that they have more tools than Lightroom for converting photos to black and white. For example, Silver Efex Pro 2 has better tools than Lightroom for emphasizing the textures in your photos. These photos were developed in Silver Efex Pro 2 and you can’t create the same effect in Lightroom. 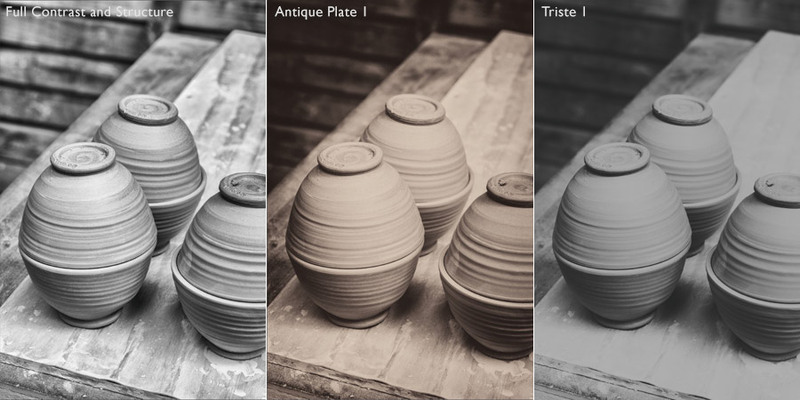 Topaz B&W Effects lets you emulate antique processes such as cyanotype, van dyke brown and albumen printing. I developed this photo using a van dyke brown preset. Again, it’s a unique look that you can’t create in Lightroom alone. This lesson is a bit tongue-in-cheek but hopefully you get the idea – some photographers have interesting misconceptions about black and white photography that prevent them from creating good images. This is the third lesson in our mini-course about black and white photography. 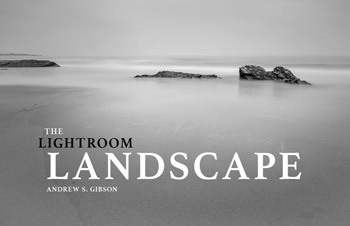 In the next lesson you’ll learn how to create better black and white photos in Lightroom!